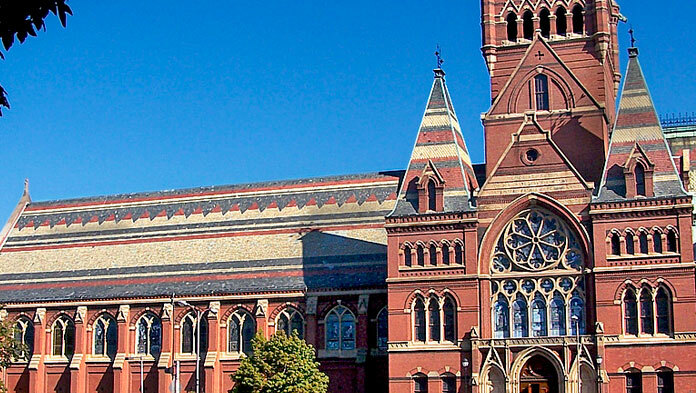 Harvard is the oldest University in America. So with that in mind, achieving a degree, even attending the University that educated Barack Obama, Natalie Portman and Bill Gates (to name a few) is a remarkable honour. Established in 1636 by British benefactor John Harvard, it has always been known as the best university to study law, medicine and business dedicating separate schools to these courses. Harvard is also associated with SAO (Smithsonian Astrophysical Observatory), the world’s largest research centre for studying the universe. The potential oozes for those who attend Harvard. With inventions such as the Polaroid camera and Facebook created within the rooms of the university, the possibilities are endless. Despite this, Harvard has received some criticism for relying too heavily on teaching assistants, accepting students with flawed grades whilst others go to great lengths to attend this Ivy League university by taking up fencing even though they have no interest in the sport and prepping for acceptance from the age of 10. It’s clearly tough to get educated at Harvard but once there, the extra-curricular activities offered to students are vast. Sport at Harvard is famous for having a permanent rivalry with Yale University during ice hockey, American football and squash, causing intense competition at these games. There are plenty of societies such as poetry, dance, science and sororities to chooses from to make the most of your singing or scientific ability. The application process begins with and interview, you will at first be contacted by an interviewer and depending on where you live; one may not initially be available. However this doesn’t affect your candidacy. You are required to sit the SAT’s and only when you score 2200 or above, will you be offered a place. Fees are high for Harvard but international students receive the same aid as those from the U.S.